I always use vinegar in the kitchen, as it’s cheap, safe, and green. I also spray my duster with vinegar before I wipe down mirrors and such. Thanks for these great tips! So many uses for vinegar. I need to buy it by the gallon! Thanks for the tips! Lol! We actually do buy it by the gallon (sometimes several gallons at a time) at our house. We love it! We use vinegar to clean quite often and it really does make a difference I am telling you it is fantastic. More people should use it! Such a unique way of using what you already have and being productive. I’m a clean freak so for someone like me this is perfect. Its great how you put the different uses in the form of a list. Very smart! Thanks for sharing. Vinegar is such a versatile and under used product! Thanks for these excellent suggestions, I’m going to share with my friends! I have been cleaning with vinegar for years. It works like a charm. Vinegar is one of those things that can be used for anything! Thanks for all the suggestions! I’ve read a lifehack that vinegar can clean everything! I knew vinegar could be used for a lot of things but several uses on your list are new to me. Thanks. Vinegar has so many uses. I sometimes use it in the water when I’m mopping the floors. I guess I haven’t utilized all it’s powers as yet. I love cleaning with vinegar, but had no idea it works for berry stains. I will try this. I need to try vinegar on my backsplash. There’s some grease or something that just won’t come off. I had to clean cat pee out of my car one time. It’s a long story and it lingered for the longest time. Somebody suggested vinegar. I used it and it worked to take out the pee smell but it smelled like vinegar from then on out haha It was much better than cat pee! I’ve never tried cleaning with vinegar but I should! Since I’m pregnant I am trying to be more careful about what chemicals are in the cleaning supplies. we use vinegar for almost EVERYTHING when we clean. I love using vinegar. it is clean and cheap. Great tips! We love using it! Its always in our home. Thanks for sharing these usefull cleaning tips. Vinegar is the best cleaner and cheaper product you can ever imagine. I use it sometimes to clean the window pane. 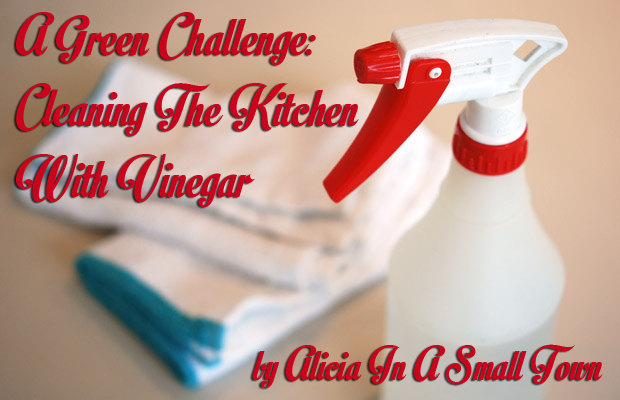 I’ve cleaned the kitchen with vinegar on several occasions! I also use it to clean the bathroom. I like to combine it with water and lemon juice to balance out the overpowering smell of vinegar. It works wonders! I’m currently using essential oils for cleaning the kitchen and they’re working wonders as well. I think I’m going to try combining the two next time!